In between all the last minute shopping, office holiday parties, and ever stressful family gatherings, it’s easy to forget just how good you’ve got it during the holidays. Don’t feel bad…we all do it. We get wrapped up in making sure OUR holiday is perfect, but we never stop to think about those who are less fortunate than us. But, there are many ways to get involved and bless others in your community, and most of it won’t cost you a cent of your hard earned dough, dough, dough. Plus, it’s never too late to give back. So, during your holiday break, join us and give this season! There are tons of local shelters and soup kitchens that you can either donate food to. Or, you can get hands-on and donate your time to serve others. Take it from someone who has done it more than once, it’s an experience like no other. Your heart will grow three sizes that day! Here are few shelters and kitchens where you can donate food, supplies, or your time. Christian Skaters is an international faith based organization with their International Offices based locally in Coconut Creek. Uli and Toni Frallicciardi run this organization and also work alongside the staff at Island Water Sports. As this organization has grown around the world, they have been able to help send teams to build parks in Ethiopia, Colombia, Guatemala, South Africa, Europe, Panama, Jamaica, and many other nations. These parks they build often serve as a place to mentor at risk kids who often come from severe poverty, violence, and more. With the help of many US board shops and companies like Vans, Element, and Black Box, they have been able to deliver hundreds of skateboards to international communities that would otherwise be unable to afford things like skateboards, helmets, pads, bibles or even ramps. These local projects offer everything from Bible Studies, to lessons, to tutoring, and even life skills classes to help equip a generation to positively impact their communities. Their goal is to see a generation transformed, equipped, and then encouraged to give back and make a difference in their local communities. You can give back by bringing a new or used board, trucks, and/or wheels to Island Water Sports any time throughout the year. Or, you can give directly at their website, ChristianSkaters.com. If you’re like me and you like dogs more than most humans you know, giving back at a local animal shelter is probably more your cup of cocoa. 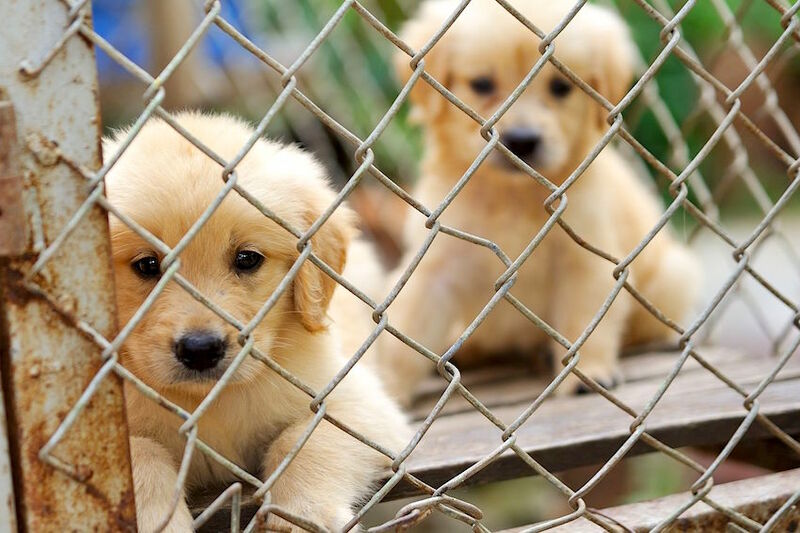 Donate cans of dog food or even volunteer to take the sweet pups on their daily walks. Wanna make someone’s Christmas extra special? Give them the gift of friendship and adopt a companion. But please remember a dog is a commitment, not something cute that you slowly lose interest in over time. Be loyal to them, and they will always be there for you. Feline Friends is a Deerfield Beach non-profit that rescues and offers adoptions of cats and kittens. Cat adoptions are done Monday – Saturday at their adoption center in Deerfield Beach. 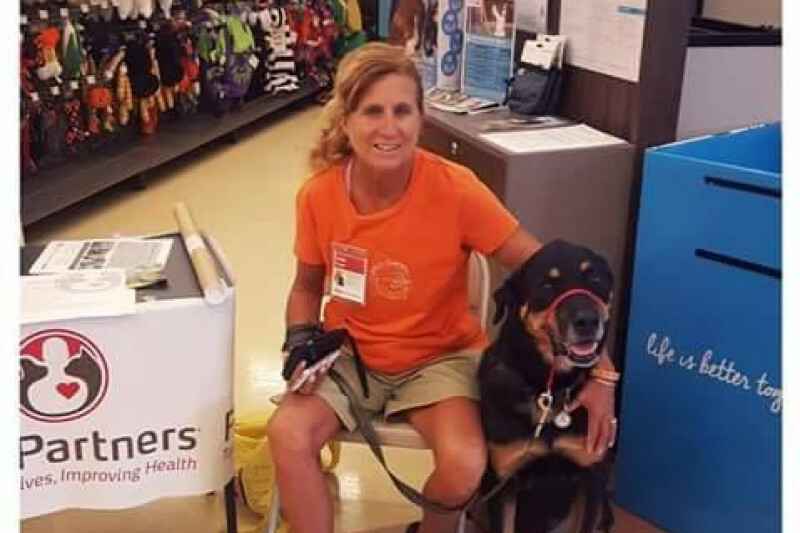 Dogs Rule Rescue Group is a Deerfield Beach non-profit with a goal to find loving, forever homes for those who would otherwise be euthanized, and educate the public on the importance of Spay and Neuter. Call 954-380-DOGS to find out how to adopt. Neuroblastoma patient Paul and his brother Jake having a little Christmas fun with Island Water Sports marketing director, Linsey Cottrell. There are plenty of charities that you can give to. From the Salvation Army, to Toys for Tots the choices are almost endless. Locally, Island Water Sports has partnered with Embrace Life Childrens Foundation. Embrace Life Foundation started back in 2005 while Carolyn and Ben Koos’ son Christian was in the hospital. “I fell in love with the kids on the floor with my son, and I started buying toys and things for them to all play together so I could bring smiles to their faces!” Carolyn’s giving started to get out of control and Ben stepped in to find a solution to how they could give more. “So our family, friends, and coworkers got together to help us and the Foundation was born!” says Carolyn. It now serves as a way to give to kids and families dealing with chronic or terminal illnesses as a tribute to their son Christian’s life. Fun Fact: You may or may not know that all of the toys we collected at the Island Water Sports Customer Appreciation Party were donated to Embrace Life, here’s a little look at where they actually ended up. Embrace Life covers a wide scope of needs for young patients and their families. Nothing is too big or too small for their team. They have remodeled rooms and delivered air conditioners, toys, trips, and even ballet lessons complete with pointe shoes! And, they have helped find parents flexible jobs and even housing. When they adopt a family, these families know that they can call with any need and Embrace Life will do their best to help. Once Embrace Life get’s involved, they become family. 100% of the work done by the staff is voluntary. That means every dollar you give, every toy you donate, goes directly to the family in need. You can visit their website for more information about the Foundation and ways to help! Maybe you wanna bless someone a little closer to home. Linda Fogel, a mother, wife and long time friend of IWS was recently hit by a car while riding her bicycle accident. Bless this local family and help to get Linda on her feet. A small monetary donation and a whole lot of prayer can be the deciding factor in this situation. You’ve read through this whole post and now you feel the urge to give but nothing has tugged on your heartstrings. 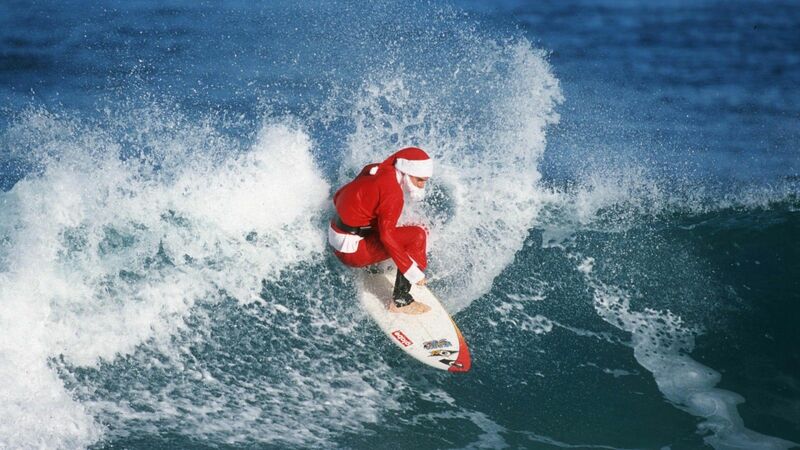 What about the gift of surf? Hundreds of kids in South Florida have been unable to experience camp due to financial hardships. Give the gift that keeps on giving. Consider giving to Island Camps and send at risk kids to camp for a week where they will learn how to surf, skate and more. Now that you know all the ways you can help go out and GIVE! Be your own Santa!